I heard this suddenly dropped online and is already getting quite a bit of airplay. I found out about its existence by someone who is part of my Whatsapp distro list who was requesting it. 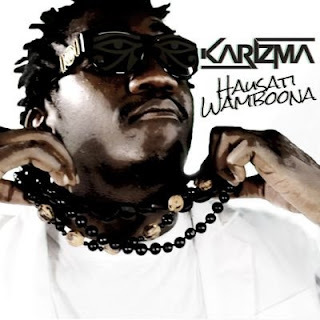 Being me, I did some research on this new Karizma song. I heard this suddenly dropped online and is already getting quite a bit of airplay. I found out about its existence by someone who is part of my Whatsapp distro list who was requesting it. Me being me, I did some research on this new Karizma song. Those waiting for a free download link I don't think that is going to happen anytime soon. I think the lyric video is a marketing strategy to test the waters before they release the purchase options. This is a very different-sounding Karizzy from the one we had gotten used to hearing. The British accent isn't even noticeable on this one. Hmmm I'm intrigued to see what #NGNGv3 with this "new" Karizma. For those not in the know Karizma is Begotten Sun's cousin and is also part of the KYN group of artists that include Tehn Diamond and Jnr Brown. Produced by Mark Sebz and Yagi Dojo this is a new single for the forthcoming NGNGv3 (for the newbies that means No, Guts, No Glory Vol. 3, you can get vol. 2 here). If this means what I think it means we may be getting three albums from KYN this year. Thanks to the lyric video we now know what KYN stands for.